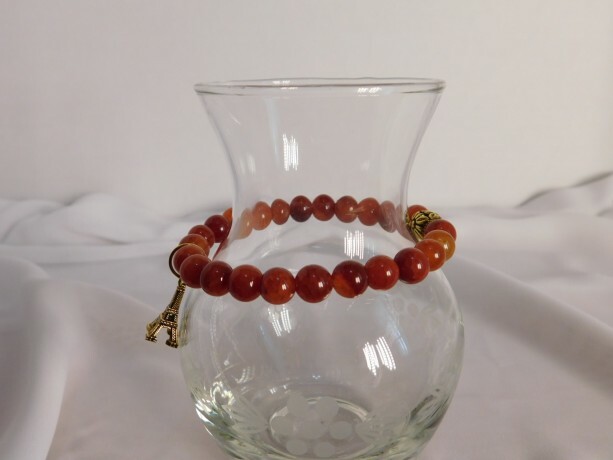 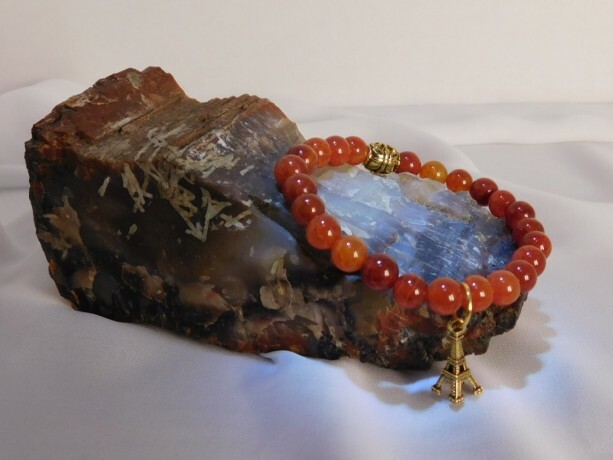 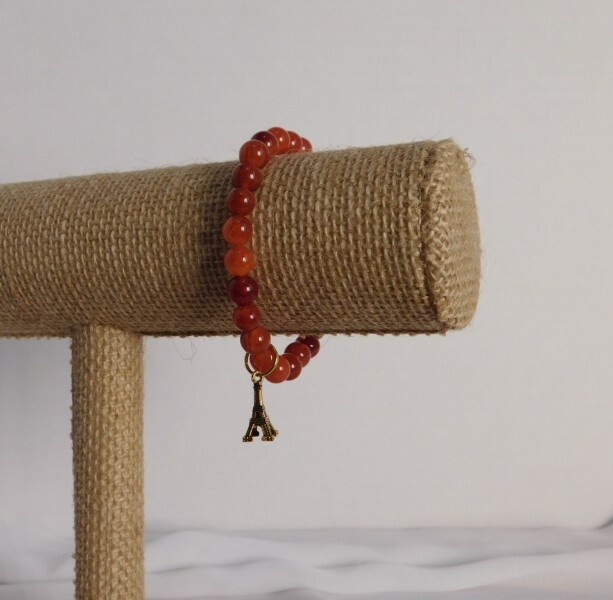 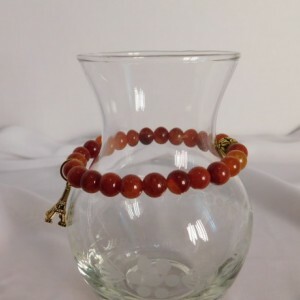 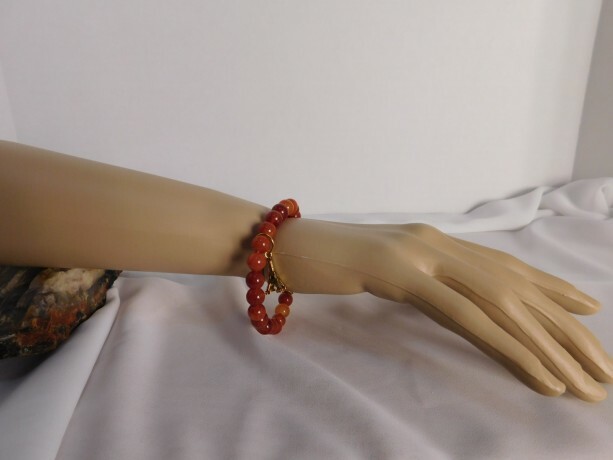 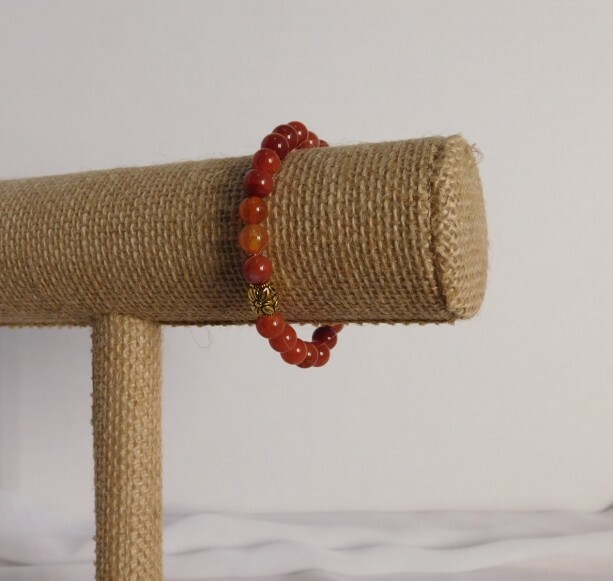 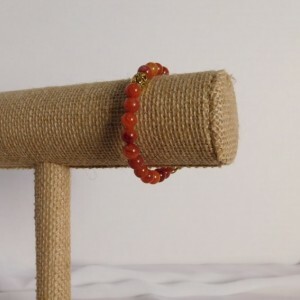 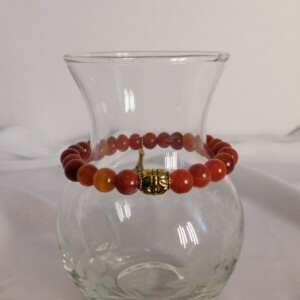 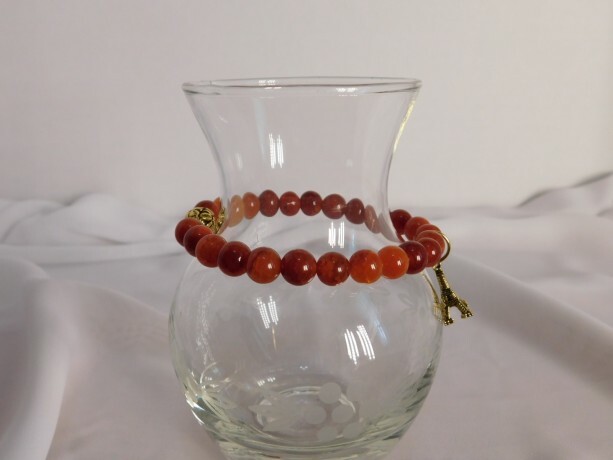 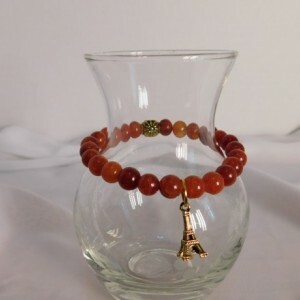 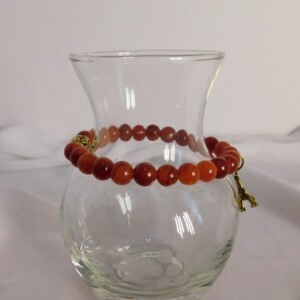 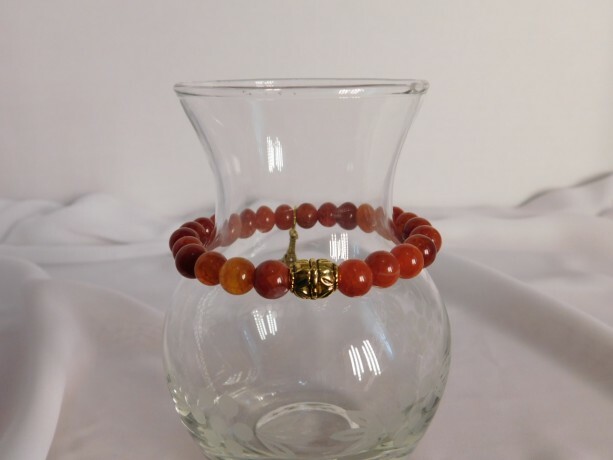 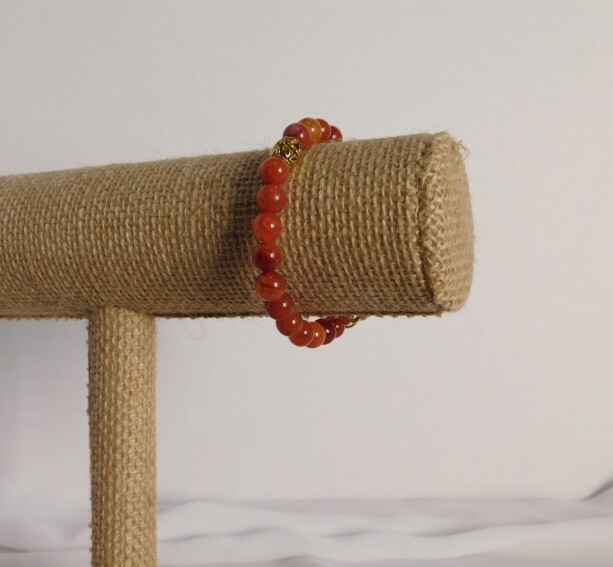 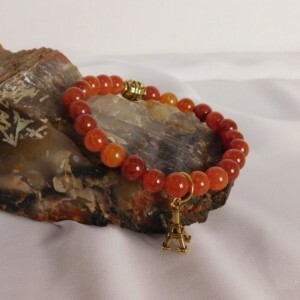 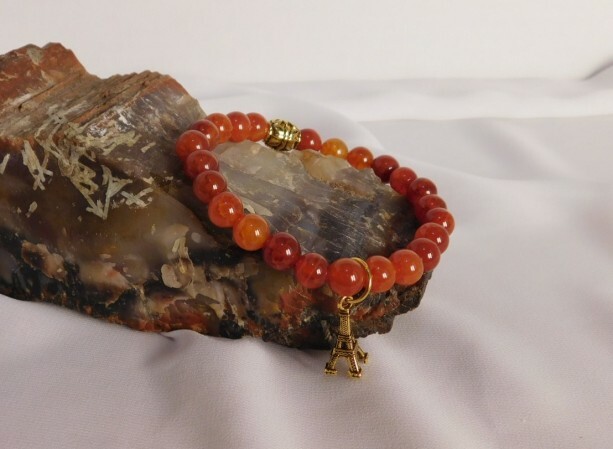 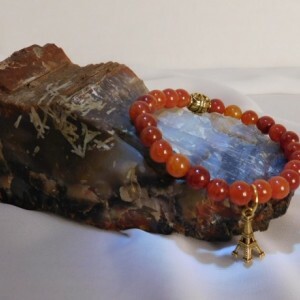 The red gate stone comes in a variety of colors, this bracelet looks more like a burnt orange color, each stone is unique. Beads are 8 mm, gold plated tube bead. 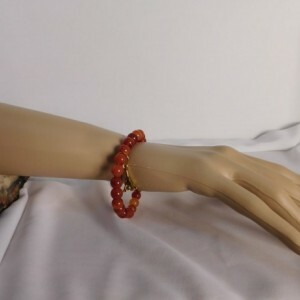 Stretch bracelet fits a 7 inch circumference. 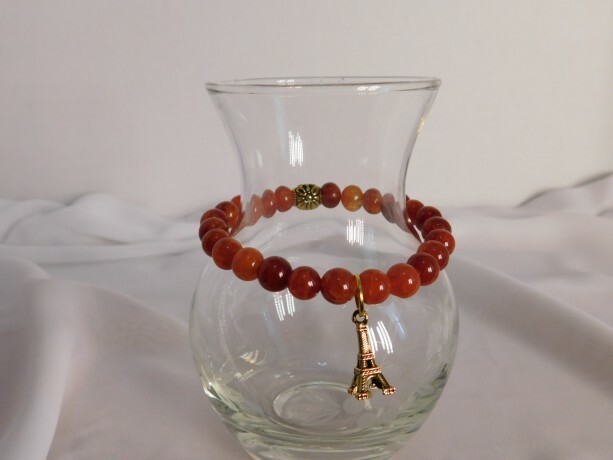 Gold-tone Eiffel Tower on a gold plated ring.